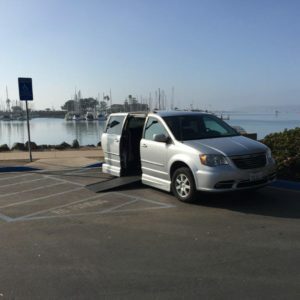 Helping handicapped and disabled individuals experience the joy of being able to do what they want, when they want, is our NUMBER 1 GOAL at San Diego Mobility Vans! San Diego Mobility Vans is located in San Diego East County in the area of El Cajon. We are guided by our company philosophy of “We put our Customers first and strive to build a strong relationship with them by offering quality used mobility vans and services with an excellent value-for-money ratio.” By focusing on these areas, we can earn your trust and continued business. Our management team is made up of seasoned employees with over 18 years of combined experience in our industry with a talented staff with expertise that backs up our unwavering commitment to you. We do not hesitate to go the extra mile! We look forward to the opportunity to be of service to you and providing an estimate for your mobility van purchase or rental. San Diego Mobility Vans in El Cajon is owned and operated by Jim Foster, a native of California and proud resident and business owner in San Diego.